Re your recent "Small Cars with Big Cubes" series (Small Cars with Big Cubes - Part One and Small Cars with Big Cubes - Part Two)... I applaud your inclusion of an Alfa in this article, albeit one with the somewhat unique design influences that are only found in ‘80s and early ‘90s model Alfas. However, it would have been good to see a review or the inclusion of a 147 or 156 with the V6 motor. The 147 GTA - now that’s a small car with big cubes! I was also surprised to see the inclusion of the Mazda 323 - 2.3-litres in a car that size is almost the norm these days. Other than that, good articles most of the time, keep up the good work. I am looking to fit a VQ/VH45 into my 240Z (primarily for race). Do you have any performance specs and details of where to get the go-bits from? We don’t have any more information on the Nissan V8s than mentioned in the articles Import Motors '05 - Part One and 2004 Engine Epic - Nissan Engines. I just read Driving Emotion by Julian Edgar. Maybe the biker was trying to keep his licence. Maybe Julian drove better than he rode. Or maybe he was just f&^%ing with him. Bikes aren't faster through corners (about the same, maybe slower) because cars have a bigger contact patch on the road - in a corner, bikes only have about 2.5cm of rubber on the road. If you talk about performance, talk bikes - no CD player, no air con, nobulls&^* - just you and the road. Bikes have only what's required for speed (and maybe some flashy paint). I just though you might want to know about some errors in the latest Pug 307 review (Peugeot 307 XSE). 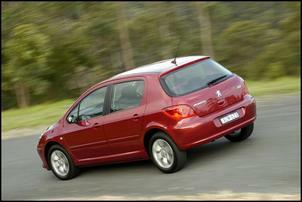 Firstly, you say "The Peugeot 307 XSE 5-peed manual" - which I though was rather amusing! And you say "the factory figure 0-100 km/h figure is 8.9". Love the mag. Any chance of an article about DIY spring and damper install? Much appreciated - article now fixed. Do an AutoSpeed search on springs and dampers and you’ll find plenty of interesting stuff – but, no, we haven’t yet done a DIY conversion. We’ll put it on our ‘to do’ list! I just turned 18 a week ago and I’m on the look for my first car. I have a budget of around ten grand and have already narrowed it down to three particular cars - the Nissan Skyline R32, Nissan Silvia and Toyota Soarer (1987). I like all of these cars for different reasons but I’m still having trouble picking the right one. I would appreciate it if you could give me some guidance. If you haven’t already, check out road tests of each at Burger With the Lot, Loose Change Luxury, The Family R32, Pre-Owned Performance - Nissan Skyline R32 GTS-t, Silvia Surprise, Nissan S13 CA18DET, Nissan 180SX SR20DET. Assuming you’re talking about the turbocharged versions, we reckon the R32 and S13 are the better choice in terms of parts availability and resale value. But take it on a car-by-car basis – the quality and price of these cars vary hugely. There is always something interesting to read/see at AutoSpeed. I thought I'd ask if you have checked out the TechEdge air/fuel ratio meters and the Megasquirt DIY EFI computers? Also,have you heard of problems with repositioning vane type airflow meters so that they are on the pressure side (of my supercharger)? No, we haven’t encountered either of those products. Interesting question re using a vane AFM – we’re not sure if it will/won’t work but a good first step would be to block the inlet/outlet ends and pressurize the AFM body to see if there’s any leakage. I saw some article with the little sensitive vacuum/pressure switch Powering Up the Pressure Switch. 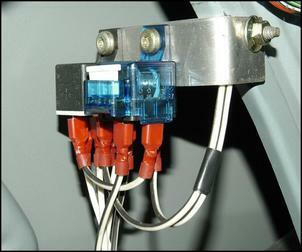 I require a vacuum switch that switches open or closed at a light vacuum (close to atmospheric). Switching polarity doesn't matter as I can plumb up the vacuum switching valve to suit (NO or NC) which I am using the switch to control. Any other kits to give progressive PWM to a vacuum switching valve from open to shut relative to a) manifold vacuum and b) rpm. ounds like you need the Silicon Chip Independent Electronic Boost Control (IEBC) to give variable duty cycle control. 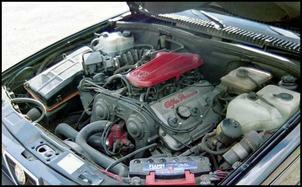 SeeAutoSpeed Shop This uses a fuel injector input (which is derived from a combination of engine load and rpm). I have an imported 24-volt Nissan Patrol with a third auxiliary 12V battery in the rear for stereo, car fridge, etc run off a 30A 24V – 12V battery charger. My intended list of modifications will require the use of relays running 24V accessories from 12V 'triggers' and vice versa. (For example, switching on/off 24V cooling fans from a 12V source or converting my 24V central locking to '12V controlled' remote central locking etc).Can I use 24V through 12V relays or do I need to match the relay depending on what voltage will be used to switch it? We suggest using relays with 12V coils but higher switching voltages (eg 24 or 36V DC). Don't forget to make sure current capacity of the relay is sufficient for the application. In your response column of Issue 358 (Response), Shaun O'Brien is after an inexpensive MAP sensor available in Australia... I believe the Motorola MPX4250A-MPXA4250A series sensors fit the bill nicely.They measure 2.9psi – 36psi absolute and have a conditioned output between 0-5V. They are available from www.partsvault.com which are based in Australia and I imagine they shouldn’t be too much more than AUD$30, considering they are about US$15 from suppliers in the US. Yes, we have seen these items in the past but the cheapest we’ve been able to get them locally is AUD$70+.